Hello, Happy New Year and welcome back to Spectrum and SEND Sunday #40, the place to share your autism, special educational needs and disabilities posts. Whatever stage of diagnosis or life you are at.. you are welcome here. Danielle from Someone's Mum and I are back after the festive break. It's the New Year, perhaps you've been looking back through moments of 2016 like I have on the blog or maybe you're thinking about the future. Maybe you are taking one day at a time - whatever it is, we are looking forward to reading about it. The New Year also marks a one year blogginversary for Someone's Mum - congratulations Danielle! This week I'm linking up two posts from the holidays. You can read about how David's meltdown revealed a touching understanding in our post about David and the great Christmas Tree upset or how I helped my kids to communicate over the holidays as part of my Baubles and Babbles series. My favourite post from the last linky was the 'What is a carer?' from It's a Tink thing. A simple reminder that I am a parent and I am a carer. 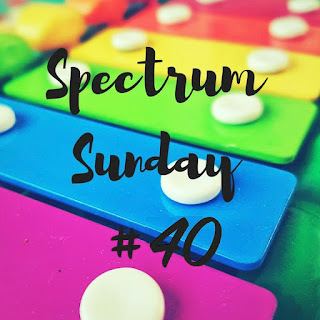 Danielle liked the posts from Mummy Here and There and A blog about raising my autistic son. Which was your favourite? We love hearing about parenting and also from adults with autism or disabilities too. We'll be sharing our favourite posts on Facebook and all your posts have also been added to our Pinterest board. Just a reminder that the linky runs once a fortnight, alternating hosting between myself and Danielle at Someone's Mum. We keep the linky open for the two weeks so everyone can link up. Thank you once again to all those who linked up and shared posts last week. If you are new to linkies, no worries, you can look at my guide on what they are and what to do. As always, we are really looking forward to reading your posts! Happy New Year!